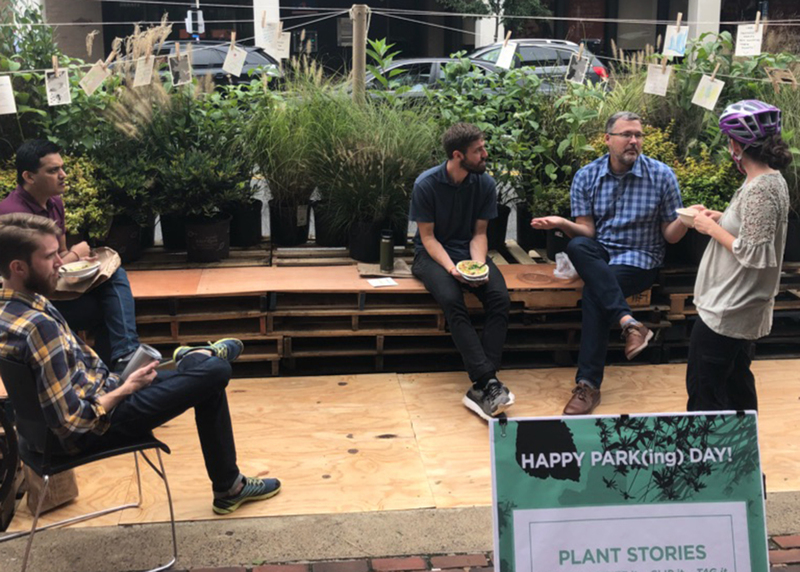 RHI’s 2018 PARK(ing) Day installation encouraged visitors to share plant stories and hang out in a cozy, planted seating nook. 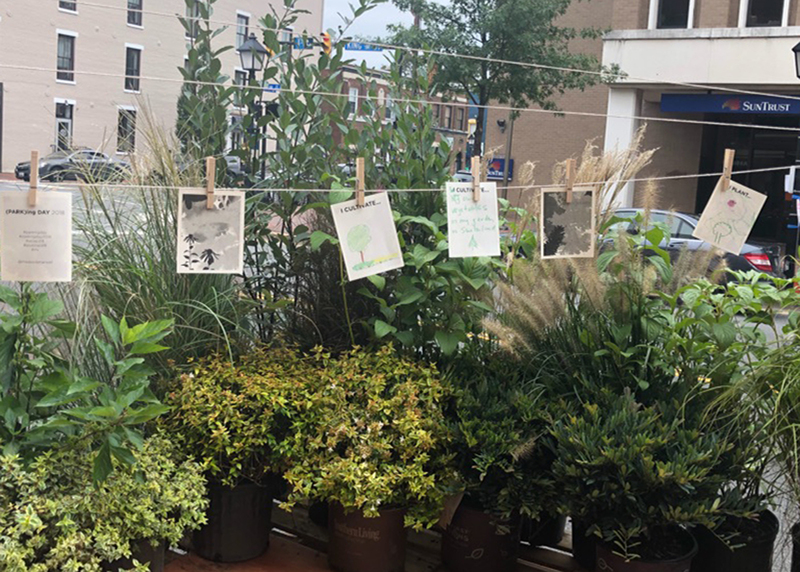 The parklet had a variety of shrubs and grasses creating comfortable protection from traffic and a beautiful “green thumb” on the street. 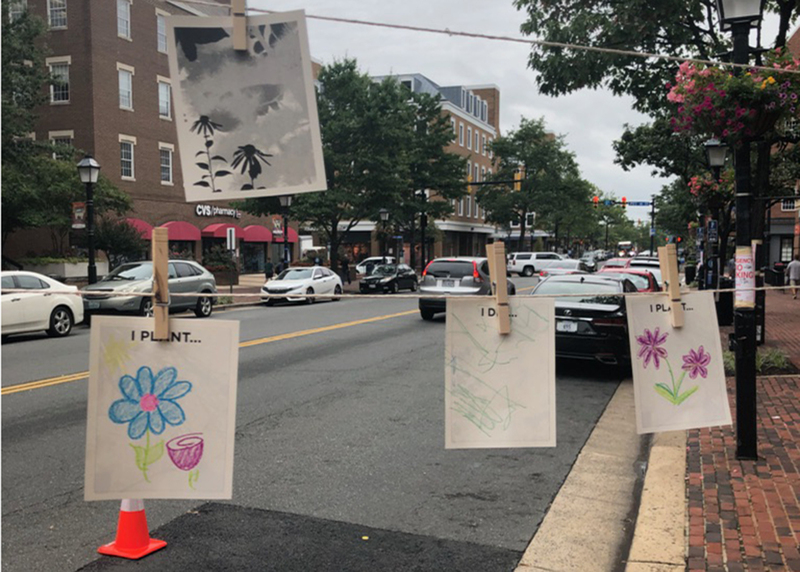 As people stopped by to write and draw, the clothesline of postcards filled up, creating a lovely montage doodles and thoughts. 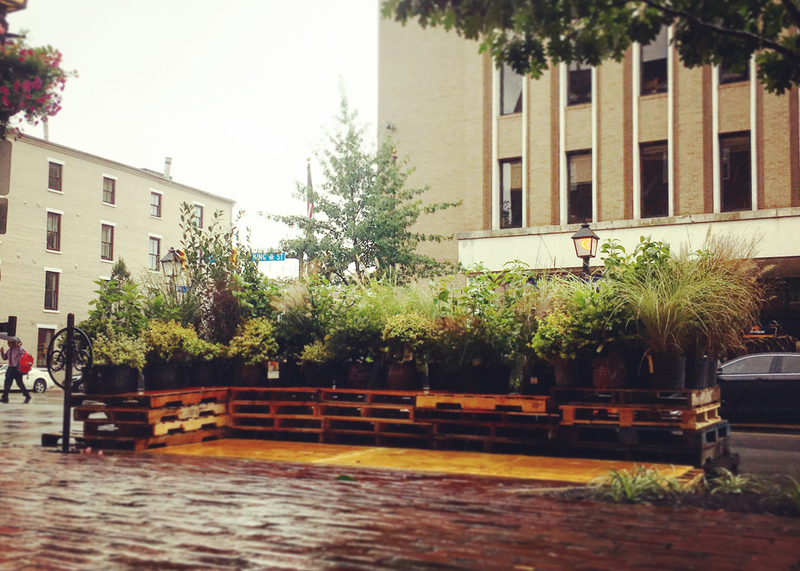 Thanks to all who stopped by and a special thanks to Meadow Farms Nurseries in 7 Corners for providing all the greenery for our parklet.